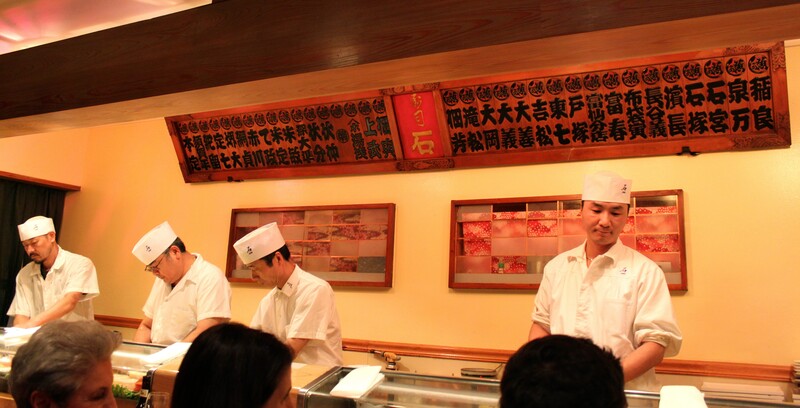 My ultimate sushi destination is Sukiyabashi Jiro in Tokyo, Japan a Michelin 3-star restaurant run by Jiro Ono. He is close to 90 and has run this world-famous restaurant for years. As you can imagine he takes his sushi seriously and the fish speaks for itself. Since I am not getting to Tokyo nor spending $300 for a meal anytime soon so I search out sushi bars that are unassuming and treat sushi like artists. Enter Sushi Seki. The unassuming store front that opens up into a no-frills medium-sized restaurant has some of the best sushi waiting for you inside. The vibe is laid back but hyper focused on the fish and service. Crowd is a mix of Upper East Siders, cabbies and chefs (the sushi bar is open until 3am). 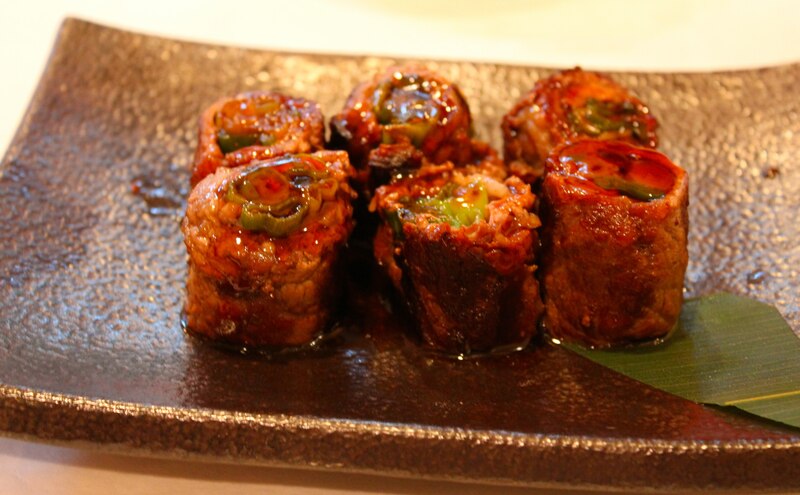 The preparation and presentation fall somewhere in between traditional and modern style sushi. After sipping on a delicious lychee sake cocktail we decided on the green salad with onion ginger citrus dressing and the Maguro avocado (diced tuna and avocado with fresh wasabi) for appetizers. The salad dressing had a nice zing to it and the greens were nice and crisp. 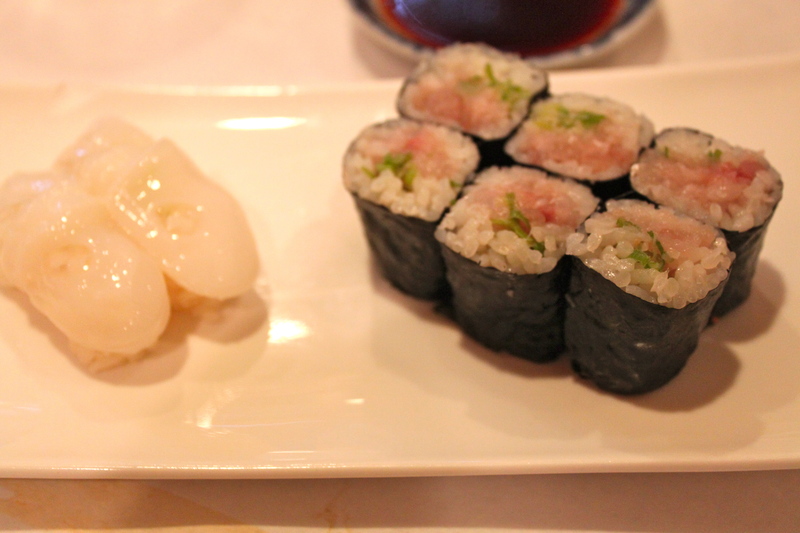 The tuna was fresh and the house made wasabi was a nice treat in consistency and flavor. The next appetizer caught me by surprise. Something that is essentially rolled beef with scallions doesn’t sound like it would be that mind blowing but it was so full of flavor and melted in my mouth like good sushi that I was seriously contemplating ordering more. The beef negimaki caught me off guard to say the least! “Best octopus I’ve ever had. 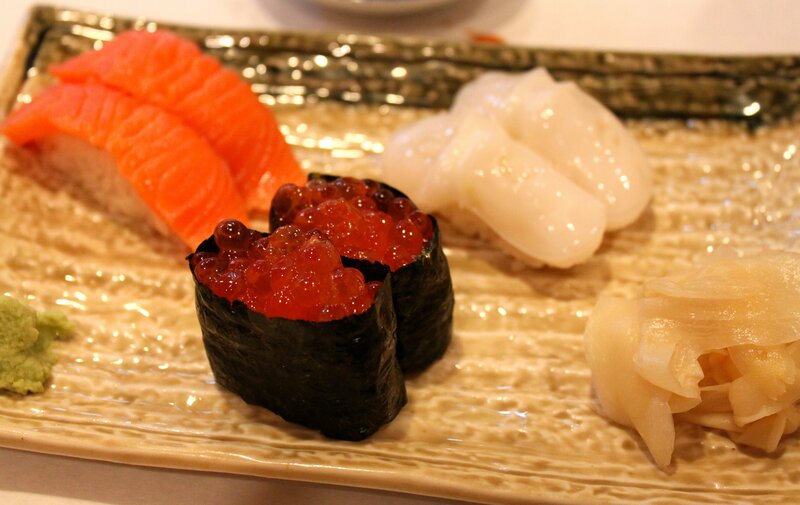 It melted in my mouth.” The salmon, snapper and fish roe nigiri were top rate in freshness but it was the octopus that stole the show this night. I lost count of orders but think at least 3 times we found ourselves ordering another round. There was something magical happening for the octopus that night because it was so fresh and so delicious I can’t even describe it. Just.Wanted. More. I love me some soba so I thought I would see if Seki’s expertise extended to noodles. 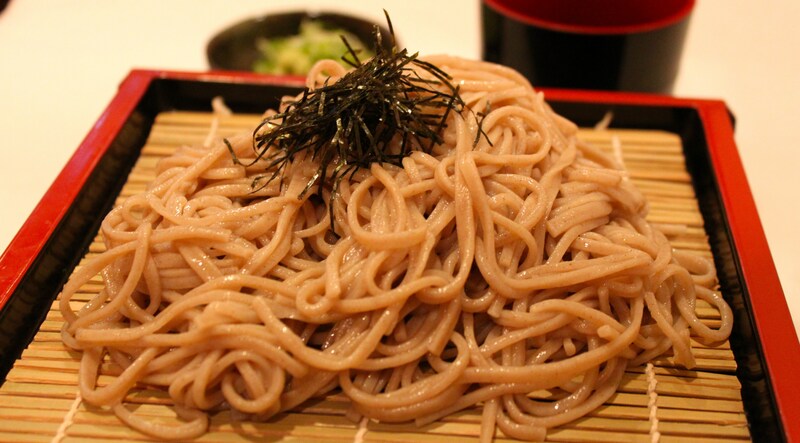 Soba is simple but almost always over cooked or a bland tasting dish in many places. It was perfectly al dente and earthy in taste. They came with a dipping sauce (I decided not to use them since I love the taste of lightly dressed noodles the best). No room for dessert but we were presented with some tasty green tea to end our meal. 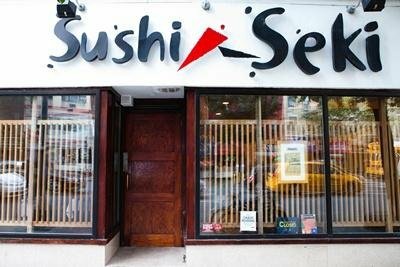 If you are ever in the Upper East Side Sushi Seki is the place you should go! Just wanted to share my hilarious blog with a fellow traveler. Hope you enjoy it as much as I have enjoyed yours.